Everyone seems to walk and talk a little different in spring. We throw off the constraints of winter to welcome the freshness of the new season. Winter coats get packed away or pushed to the back of the wardrobe and we begin reaching for fresh pieces full of colour and confidence. We put our boots away and reach for the nail polish – gotta get those toes ready for all the cute open toe shoes you will be wearing! So in celebration of the arrival of the new season here are my top picks of what to wear this spring! Spots, stripes & checks – we are going to see a whole lot of spots, stripes & checks this season. Wide leg pants in black n white spots are everywhere. As are gorgeous rust coloured dresses with white polka dots and cute capri’s with bustier tops in simple black and white checks. Bellted dresses in checked fabrics will feature as will cute mini dresses with full sleeves in the cutest spots! 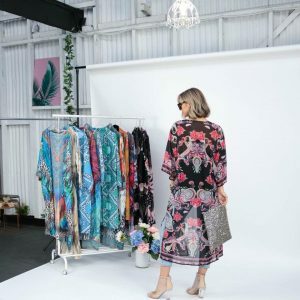 Delicate floral dresses – remember the late 80’s – early 90’s?? Yep, well they have returned! Soft & sheer fabrics, ruffles, asymmetrical cuts and delicate florals in sweet pastels will feature in every fashionistas wardrobe. Whether you pair it with sling back heels, wedges, strappy flats or even ankle boots – there will be a floral dress for every occasion. Colour, Colour & more COLOUR – Pastels or gelato tones if you please, are making their way front and centre. Pastel coloured blazers, pastel coloured pant suits, pastel coloured shoes, pastel accessories – pastel is the hottest word this spring! But for those who can’t quite get their head around pastels, do not despair. Bold block colours will come to your rescue. Key words though are Bright, Bold and Block! Forget a black suit – wear a RED suit instead. Bright and bold patterns in bright and bold colours will bring life to the simplest of wardrobes. A sheer & colourful throw will instantly transform your casual outfit into a stunning and statement outfit! Monochrome & Metallic accents – it’s time for you to glitter, sparkle & shine in sequins. Yep sequins! 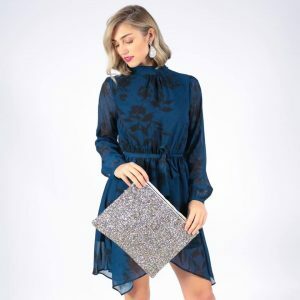 Shimmer your way through spring with a hint of sequin in a cami or stand out from the rest in a full sequin dress. Monochromes are always a key spring look – you cannot go wrong with black, white & metallic and all at the same time! 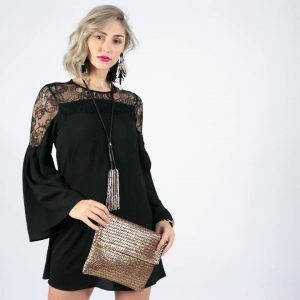 Spring Style Icons for inspiration – think Julia Roberts in Pretty Woman (after she has been shopping) or Princess Diana in the early/mid 90’s – you may have seen these fashions the first time round and now they are reinvented with a modern twist – and I am so happy they have returned! Make no mistake: spring fashion is fun, it is colourful, it is bold and it is CONFIDENT – embrace it! For those who somehow lost their razor at the start of winter – no more excuses – shave your legs! Enjoy the beauty of spring and all the beautiful styles coming your way this season. These are just some of the gorgeous new season Trish G Store pieces you will find in the Natt Cross Style Studio. The 10 Be’s To Living Life With Strength Dignity & Confidence. Wendy Tarrant on Take That Jumper Off!